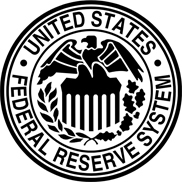 The Federal Reserve- Is It Helping the Economy Overall? In a word, NO! Federal Reserve Chairman Ben Bernanke recently gave a report on the state of the economy. It makes for scary reading if you are in any business other than those the Fed deemed too big to fail i.e. wall street, the big banks, and insurance companies involved in insuring off the wall derivatives. You could say the Fed is there to protect Goldman Sachs and its ilk; everyone else can deal with the recession-depression and with all its ramifications. First a little perspective: when the U.S. Government and the Fed removed gold backing from the dollar in 1933, it essentially became a piece of paper with ink and the only real limit on the number of dollars produced was nothing. So it is no surprise that 1933 dollar today is worth 3 cents! Inflation anyone? The crash of 2008 took place because another Fed sponsored bubble blew up. First it was the high tech bubble, then the stock market bubble and residential housing bubble, and coming soon, the commercial real estate bubble. With the Fed driving interest rates to less than 1%, the dollar is the new carry trade instrument (borrow dollars and buy things that have a better return). So are we now blowing up a new bubble? And are we sending our fiat currency to the status of unwanted? The dollar value in international terms is down 60% since 2001, since Obama was sworn in, 20%! And this affects all of us as the US doesn't make as many goods as we used to. Unemployment is heading to the highest level in decades, and if you are under 21 or a minority, it is already well above 20%. The federal government's statistics don't count those who quit looking for a job or those stuck with part time work and want a full time job, making underemployment 25% or more! The fact is Congressman Ron Paul is right. We need to audit the Federal Reserve and then get rid of the fiat money system in the US. We can take our massive gold reserves and remonetize gold so our currency becomes strong again. The problem is the Fed and the US government do not want the restraints gold puts on their ability to print money and the continuation of their 76 years of dollar debasement.